Welcome to the West Parish Website! West Parish School is a Kindergarten to Grade 5 school of approximately 350 students and 65 staff members. We LOVE our beautiful school! Thank you to all of our teachers, support staff, parents and district personnel for making the start of the new year a success! Each year we adjust our arrival and dismissal routines to make them safe and efficient for our community. Please call or e-mail me with recommendations or questions regarding our school routines. This year we continue to have licenses to Lexia and RazKids, that students use in school and have access to at home, to support their literacy. We continue to utilize Happy Number and MobyMax in for math and science. Your child will receive new usernames and passwords at the beginning of the school year. 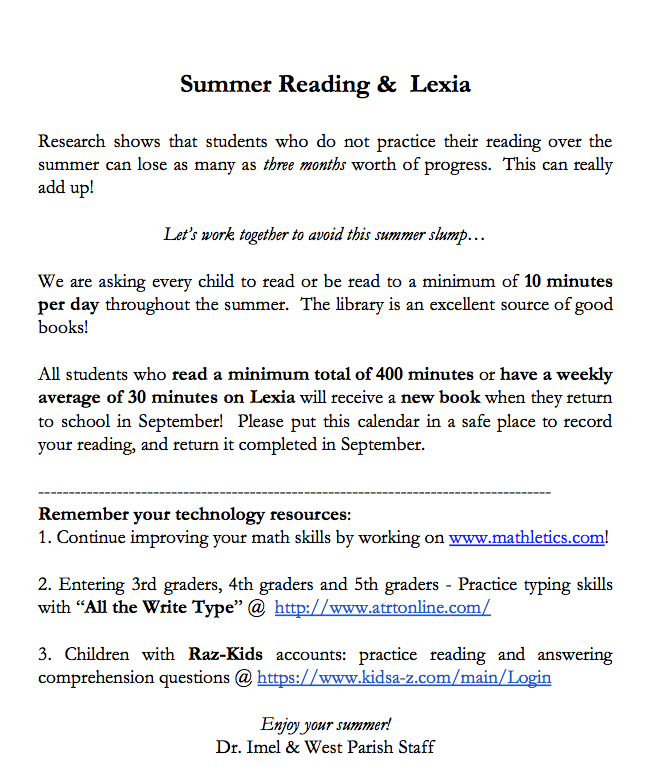 · Lexia- All students have a Username and Password and can log in and work at their "just right" level. Students in Grade 1 receive new student specific passwords in the fall. We have many students actively working on Lexia already and Mrs. Orlando is printing certificates regularly! Great job students and thank you Mrs. Orlando, keep up the good work. · If you are unable to locate or remember the usernames or passwords to Lexia please e-mail me or the classroom teacher and we will send them to you. Throughout the school year, I invite and encourage all of our parents to contact me with any questions, concerns or suggestions for ways to enhance the learning of West Parish Students. In addition, I thank you in advance for partnering with the staff to support your child’s education. There are many forms of partnership: helping with nightly homework, communicating regularly with staff to inform us of changes that may impact a child’s readiness to learn on a given day, working collaboratively with the teachers, participating in PTO events, serving on a committee, and attending school functions. Looking forward to a tremendous year! Here's to another great year at West Parish! 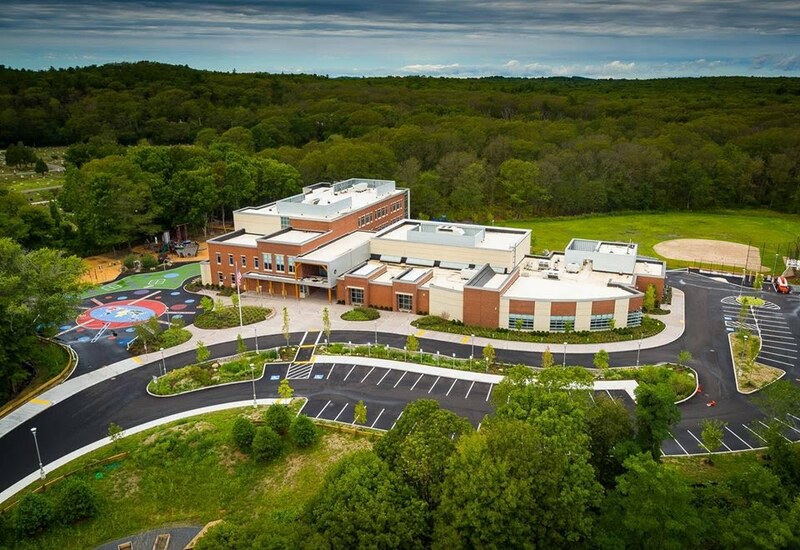 Take a virtual tour of our new school! Summer reading lists are here! Find your grade level under documents! Read Across America/Dr. Seuss' Birthday A magical day in Mrs. Grassia's class.Mrs. Fleming volunteers to read to 3rd graders. a yearly event!Mrs. Dundan gets giggles while reading the Wonky Donkey! Title 1 Math Mrs. Chaisson explains math strategies to a group of students during the city wide Title 1 math event at City Hall.